GSA « Hercules and the umpire. Kevin Liptak, Theodore Schleifer and Jim Sciutto, China might be building vast database of federal worker info, experts say, CNN (June 5, 2015). Our government, with the aid of the Mossad, unleashed the stuxnet computer virus on Iran. That caused Iranian centrifuges to spin wildly out of control thus slowing Iran’s ambition to play with nukes like the big boys. OK, I get it. If the Iranians developed and dropped a nuke on Saudi Arabia it would drive down judicially approved beheadings to unacceptable levels. If Israel got atomized by the Supreme Leader, there would be a world-wide shortage of matzoh bread. I love to eat that stuff slathered in butter. Some hacks like these make perfect sense. 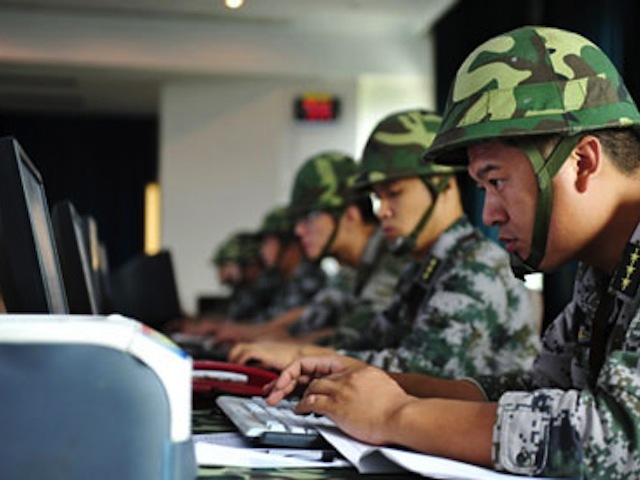 While our government was out stuxneting, the Chinese Cyber Army seems to have been breaking into a lot of our government’s computers. But, so far as I know, they have not yet hacked my government laptop that I attempt to use at home to remain productive. That stark omission annoys the hell out of me. Indeed, I need and desperately want Chinese hackers to show me an easy way to get into my government laptop. Here’s why. Physically open the laptop thus causing the router to connect to the Web via an encrypted link. Press start, and then type in a password that I can never remember ’cause we must change it frequently. The foregoing takes me to a screen where another password sends me to an encrypted virtual private network. After that, I provide yet another password to open what is laughingly called my virtual desktop. Finally, I access my e-mail with still another password that I normally can’t remember. The e-mail program slowly opens, and I access the GSA crush and corpse missive. Now, I suppose I could go to our own IT staff. But that will not work. First, they scare me. This rough bunch wear ninja outfits and cover their faces with ski masks. Moreover, they take a blood oath to protect the secrecy of information like the GSA crushed-corpse e-mail. Hence, they would just as soon not have me use the laptop, and they are happy clams when I get locked out. So, I say to the Chinese Cyber Army: I know you can help me. Hack my laptop, and then send me your simple work around. Don’t send it to my government e-mail ’cause chances are I won’t get it. Instead, send your fix to my Gmail address, Hercfriends@gmail.com. Google remembers everything for me–I don’t have to think, and that is a major plus. This request, of course, assumes, that you–the elite Cyber Army of the PRC–have not blown your brains out reading the crap on my device. Stay strong comrades (强留同志). I’m depending upon you. By the way, would any of you be willing to remove a crushed corpse from a revolving door? The stench is becoming worrisome.